Battle of Britain, 31 August 1940: "There was a general dogfight, in which F/O Bird-Wilson got 1 Me 109 destroyed and Me 109 probable...". (17 Squadron Operations Record). The remarkable Harold 'Birdy' Bird-Wilson on his way to his DFC. 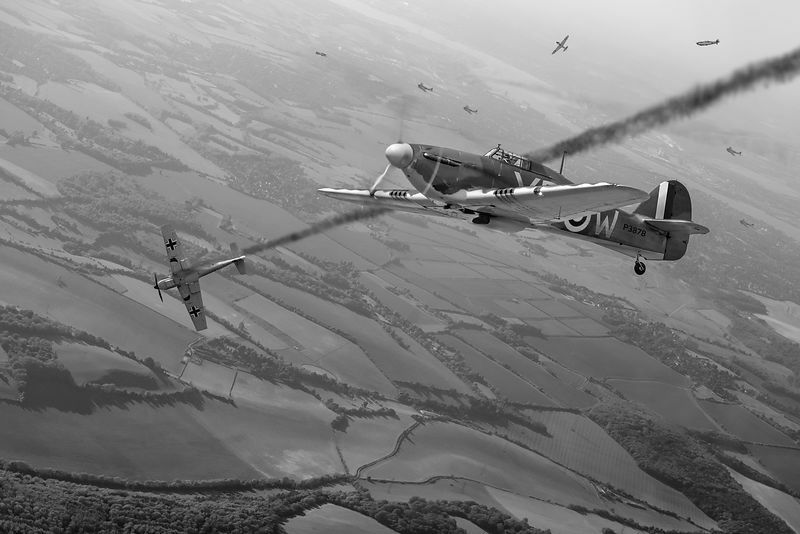 Black-and-white version of this Flight Artworks scene; colour also available. With thanks to Tony Hisgett for two of the aircraft photos, which I have heavily modified (with permission).